Mark says he only sent the roses as a friendly gesture, but his girlfriend isn’t buying it. The 947 Breakfast Club show stirred up social media on Thursday after their annual War of Roses show exposed an apparent love triangle. 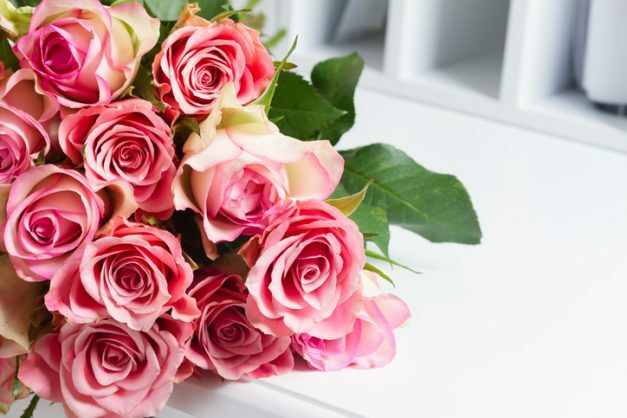 In the show, one of the presenters pretends to be a NetFlorist staff member, who calls people at the request of their significant other, and tell them they won two-dozen roses they can send to anyone with a lovely Valentine’s Day note. A woman, Cynthia, called the show and complained about her boyfriend, Mark, who she claimed to have been “distant” and acting strangely recently, asking for the presenters’ help in figuring out the cause of the problem. The crew called Mark, who opened a can of worms after asking for the bouquet to be split into two – one for his girlfriend Cynthia and the other for Amanda – while his girlfriend Cynthia was listening to the conversation. While he asked for Cynthia’s bunch to be sent a note saying “To my love, what a magical six months it has been. You fill my heart,” there was no special message to be written on Amanda’s. It turned out Amanda was Cynthia’s best friend. “I’m very confused. This whole situation is freaking me out. Amanda is my best friend. I need to figure this out because it doesn’t make any sense. I knew they were friends. I introduced him to her, for them to do this to me, I’m in shock. I don’t see how it’s possible that it’s a friendly gesture,” said a heartbroken Cynthia. However, in his defence, Mark said he had decided to send the roses as a friendly gesture to Amanda following her apparent breakup with her boyfriend. He said Cynthia told him last week to “make an effort” with her friends instead of ignoring their existence. “I just wanted to do something nice for her since it’s her first Valentine’s Day since the breakup,” said Mark, but Cynthia was not buying his story. She said everything made sense as she had seen the two talking in secret, though she did not think much of their friendship. When asked if he had kissed Amanda, Mark’s answer was unclear. The conversation blew up on social media, and Amanda has been trending since.